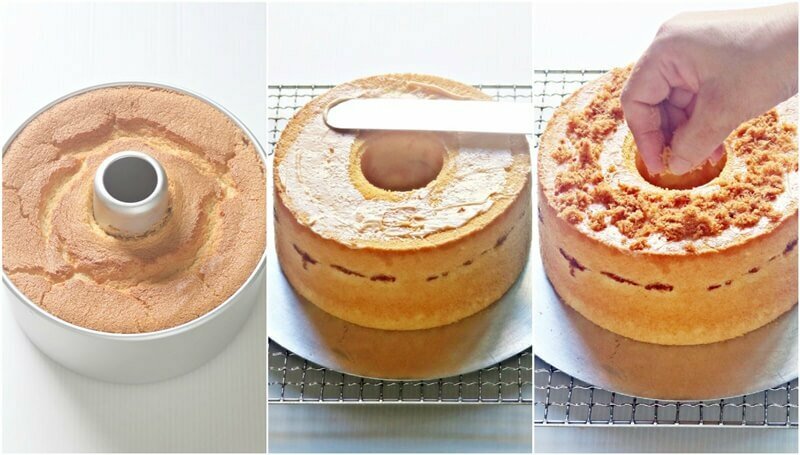 This Meat Floss Chiffon Cake is a popular savoury and sweet cake that has been shared by many great bakers in the blogosphere. 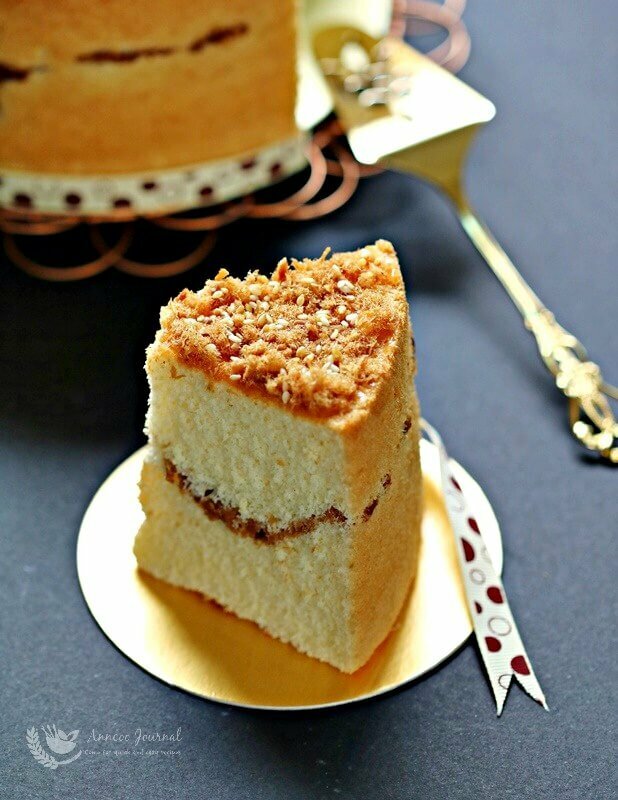 Basically it is a light and soft chiffon cake with meat floss (pork or chicken) layered in between and topped with a spread of mayonnaise and a sprinkling of meat floss with some toasted sesame seeds. 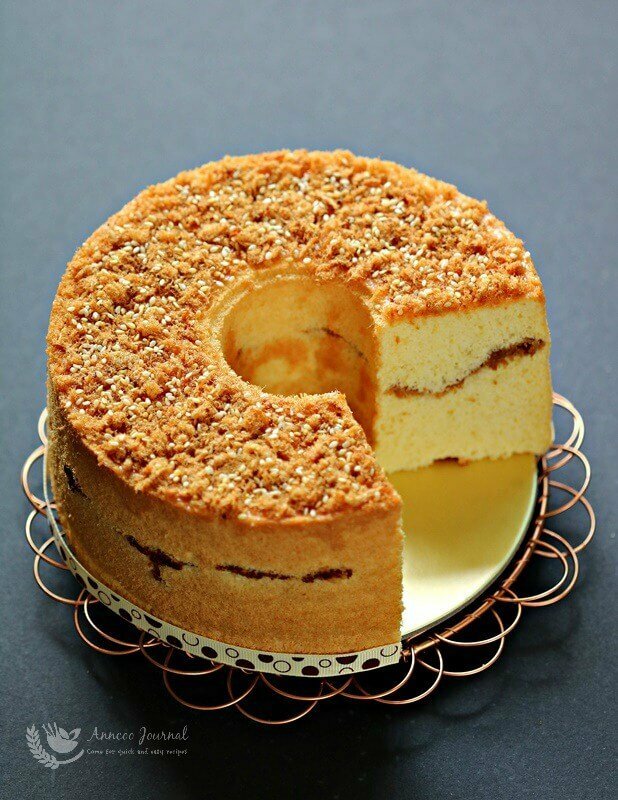 It’s very easy and quick to bake this delicious cake either in a round, square or tube pan. 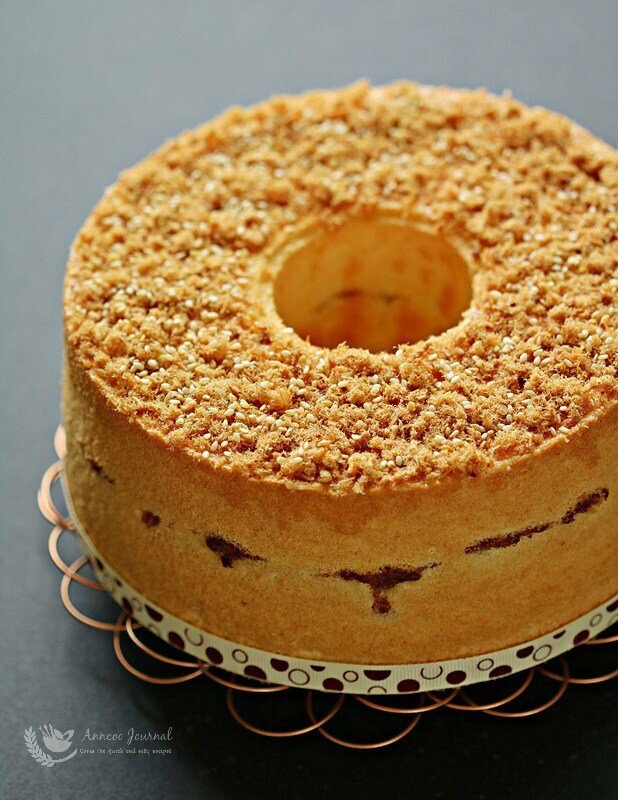 Besides following my recipe, you can also use your own favourite chiffon cake recipe and just add a sprinkling of meat floss in between. Preheat oven at 170 deg C. Sift flour and corn flour together into a bowl. mix well and set aside. Combine egg yolks and sugar in another bowl, mix well with a rubber spatula. Add milk, mix well followed by oil and blend well again. Sift in flour mixture the second time into egg mixture and stir well. Meringue - Beat egg whites and salt until foamy with an electric mixer. Gradually add in sugar and beat until egg whites are glossy, with stiff peaks. Fold the egg whites in the egg batter in 3 batches with a rubber spatula. Pour 1/4 of the batter into into a 17cm tube pan, sprinkle meat floss over it. Then pour in the remaining batter on top. Bake at 2nd lower rack in the preheated oven for about 40 minutes. When the cake is done, remove from oven and turn the pan over. 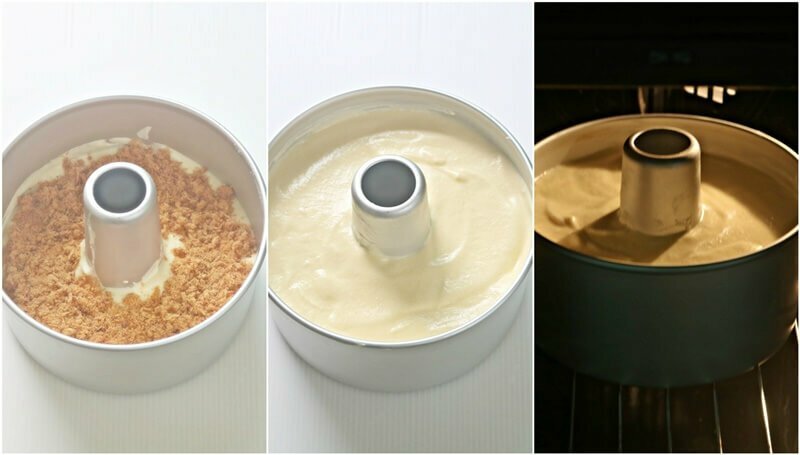 Leave cake to cool in pan. Remove cake from pan. Spread some mayonnaise one top of cake and sprinkle more meat floss and toasted white sesame seeds over it. Please keep in mind that all oven temperatures and baking time varies. Hi Chloe, Just unmold the cake by hand.